You used to believe you were in control of your life. You used to choose to enjoy a drink, perhaps after work with your colleagues or at home on a weekend. You used to choose when to stop drinking. However, lately, more and more it feels like drinking has chosen you. You can barely function without the bottle. You know you’ve gone too far with your drinking, that you’re no longer in control, but what can you do? You’re too busy trying to hide your habit from everyone in your life, like your friends, family, neighbors, and coworkers. You don’t want to admit your problem. If you’re scared and feeling powerless, now is the ideal time to seek out alcohol treatment centers near you. Here are questions to ask yourself as you begin researching these treatment centers. Keep these in mind as you make your decision. Although many associate detoxing with drugs, it’s important to detox from alcohol, too. However, withdrawal can be extremely painful on the body and mind, causing anxiety, depression, lack of sleep, bodily aches, and seizures, to name a few. In other words, detoxing is not something you should attempt to do at home, especially not by yourself. 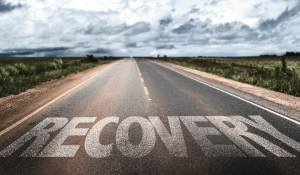 At a trustworthy alcohol rehab facility, you will receive medication that will ease the symptoms associated with withdrawal as you finally give up alcohol. Will you receive inpatient or outpatient treatment? If you’ve just started drinking heavily, the duration of your treatment may be short. However, for many addicted to alcohol, they need a lengthier treatment plan and inpatient care. Does your facility offer both inpatient and outpatient rehab to suit your needs? If not, it’s best to keep looking for a facility that does. Is there a behavioral health element to treatment? Once you withdraw from using alcohol, you may not physically be drinking, but the part of your brain that urges you to drink is still in full effect. In fact, if anything, it will want alcohol more than ever after detox. How can you resist the temptation? Cognitive behavioral therapy administered by a licensed professional therapist can give you the keys needed to live sober. If a facility doesn’t offer behavioral therapy, relapse is likely. At His House, if you’re in California, you’re never too far. We offer men’s treatment programs in four different locations for the ultimate in convenience. However, sometimes a break from your normal locale is just what you need. Can you build a support system to help you succeed? You want to overcome your alcohol addiction for yourself first and foremost, but there are other people in your life who you want to be sober for, too. These may be friends, neighbors, family members like a spouse and children, and parents and other relatives. Besides these people, will you have a circle of supporters when attending rehab? Will your doctors, nurses, therapists, and other staff be cheering you on? Will you be encouraged to attend alcohol recovery meetings after treatment or will you just be cut loose to find your own way? You need compassion and support now more than ever. Make sure to choose a facility where you’ll get it. Are you lost and afraid? Has alcohol taken over your life but you don’t know how to stop it and regain control? Contact us at His House today. Our acclaimed alcohol rehabilitation program can give you the skills you need to not only successfully live a life without alcohol but avoid relapsing as well.